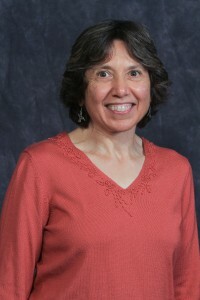 Instructional Design Librarian Barbara Quintiliano recently spoke about the online, web-delivered component she developed in collaboration with Nursing faculty to teach research skills to students enrolled in the “Nursing Care of Adults” courses. Barbara presented “Teaching InfoLit in Cyberspace: Jing and SurveyMonkey as Weapons of Mass Instruction” to an audience of faculty colleagues attending Teaching and Learning Strategies 2011 on May 11, sponsored by the Villanova Institute for Teaching and Learning (VITAL). When the class periods previously allotted for information literacy instruction were replaced in fall 2008 by clinical training sessions in the state-of-the-art simulation labs located in Driscoll Hall, the new home of the College of Nursing, Barbara sought to find a new approach to teaching the next level of curriculum-related research skills to nursing students: she resorted to creating an online activity. The component combines short instructional videos produced with Jing screen cast software and an online questionnaire administered via SurveyMonkey online survey software. The exercise requires students to prepare and execute a search in the databases CINAHL (Current Index to Nursing and Allied Health Literature) and PubMed (the National Library of Medicine’s database), choose five pertinent journal articles from each, and create a bibliography formatted according to APA 6th style. If they wish, students may also take advantage of RefWorks citation management software, which imports citations from the database and generates the bibliography. The librarian reviews each questionnaire and bibliography and gives feedback to each student individually via email. Run as a pilot in fall 2009, the online infolit module is now a required component of the courses. A rubric is used to evaluate the students’ work and their score is incorporated into their semester grade. Barbara continues to make enhancements to the module, and in fall 2010 Blackboard/WebCT was used as the platform for the questionnaire. With online tools providing flexibility, information skills can now be taught anywhere, anytime. Way to go Barbara! A very clever strategy.